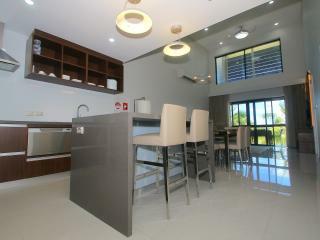 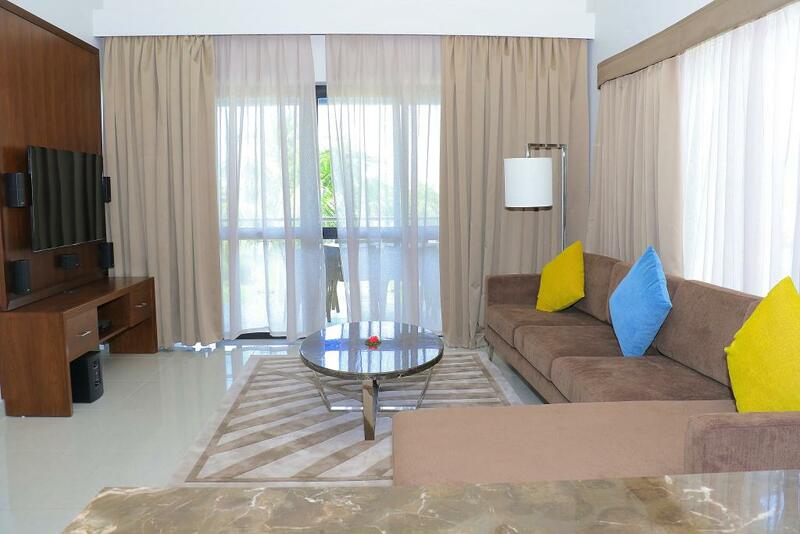 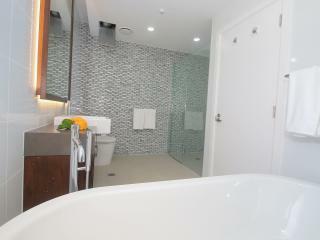 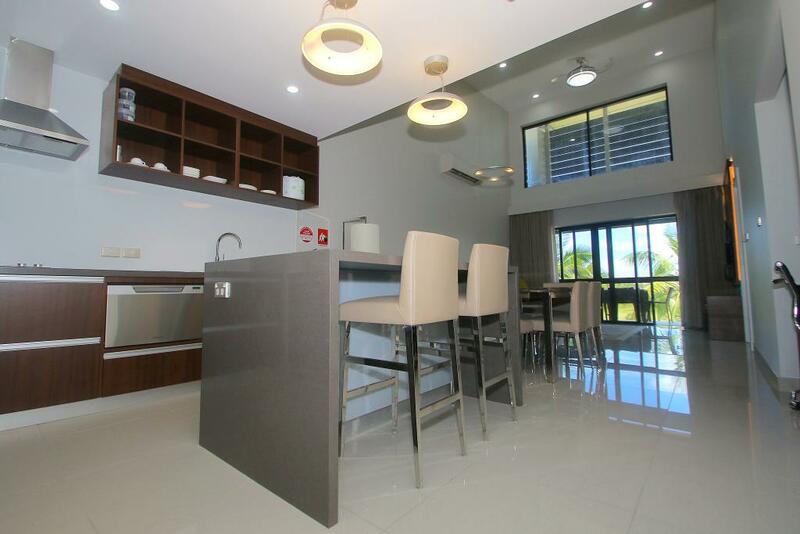 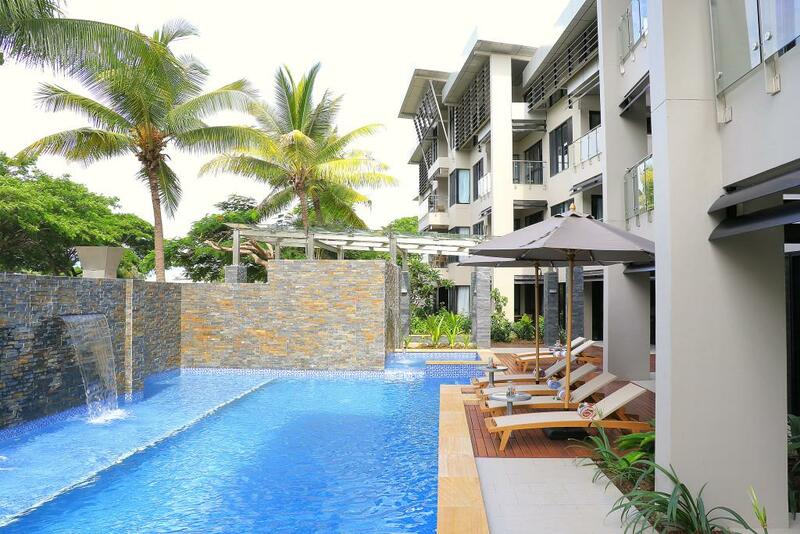 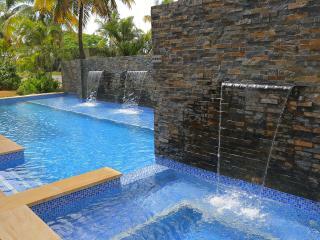 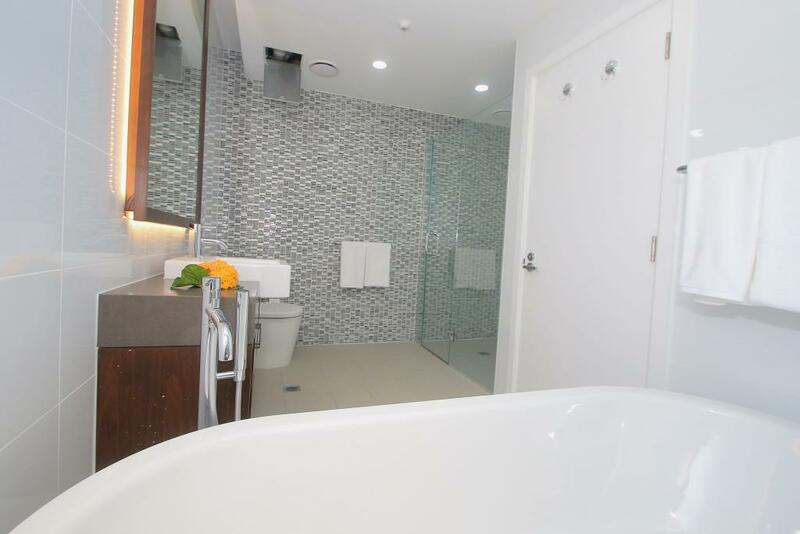 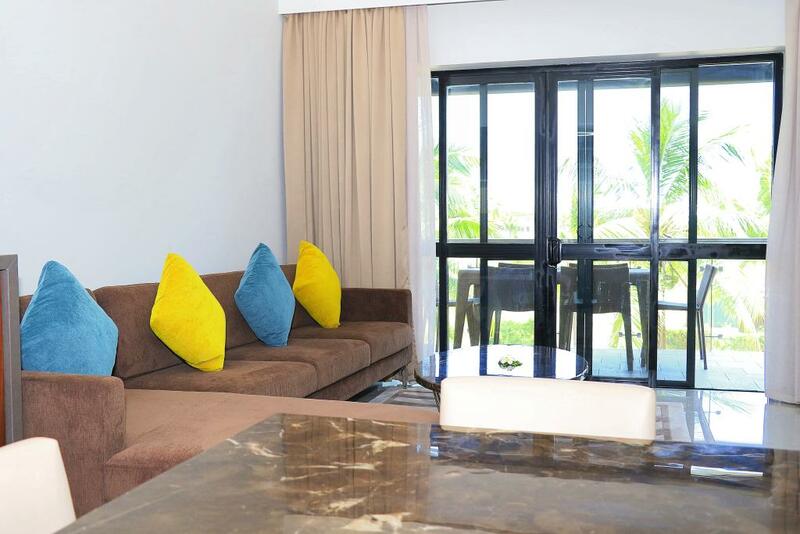 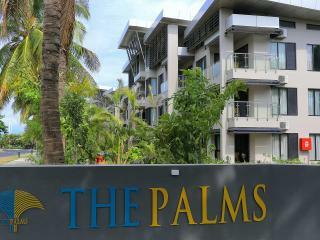 The Palms Denarau Fiji is apartment style Fiji accommodation located in Denarau, just 20 minutes from Nadi Airport. 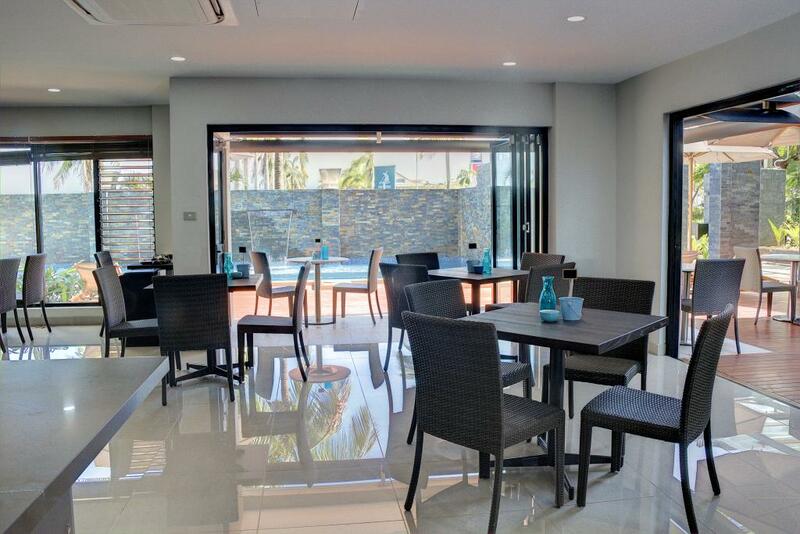 The shops, restaurants and nightlife of Port Denarau is a short walk from The Palms Denarau Fiji making it an ideal base for those wishing to explore the Nadi & Denarau areas before heading out to the islands. 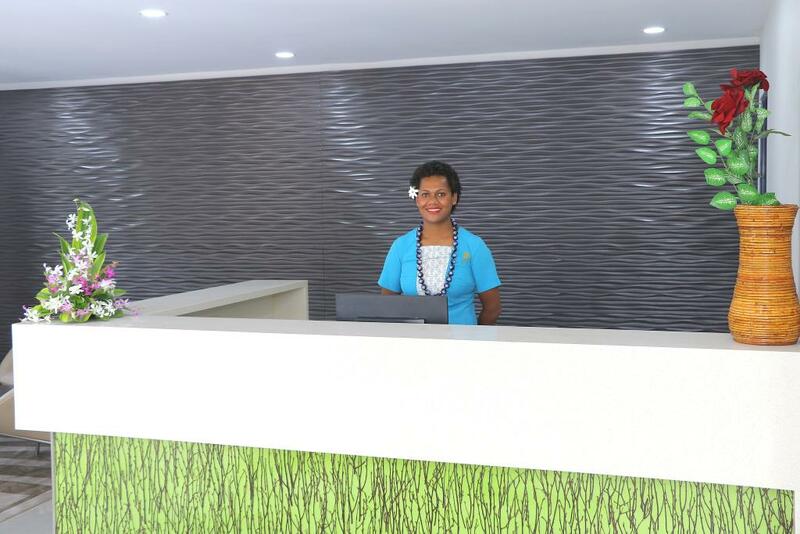 Accommodation at The Palms Denarau Fiji is simple and stylish, featuring modern amenities such as free WiFi and satellite TV. 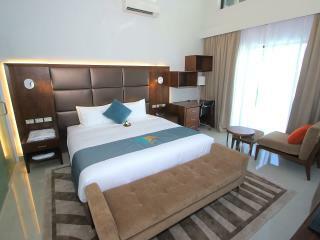 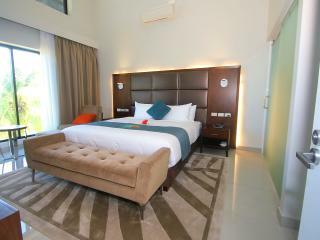 The Guest Rooms feature 2 Queen Beds and can accommodate up to 2 adults & 2 children. 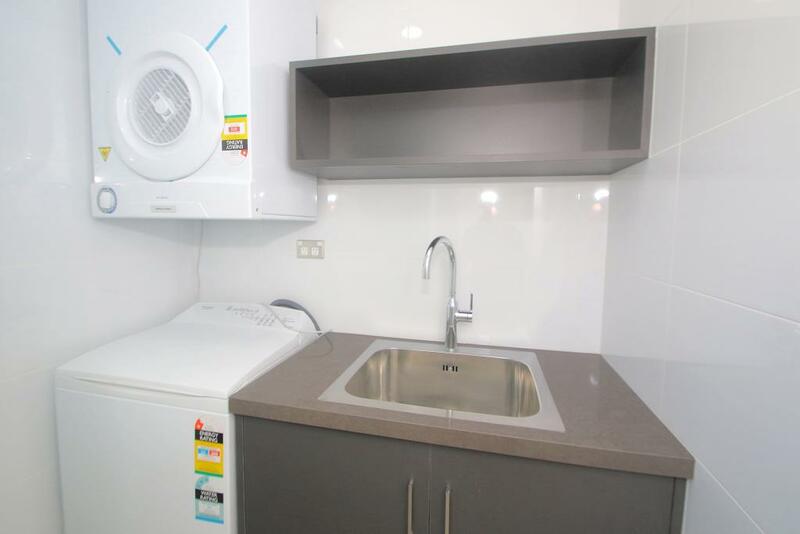 The apartments offer full kitchen and laundry facilities along with spacious living areas, making them ideal for larger families or groups. 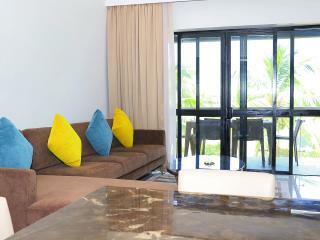 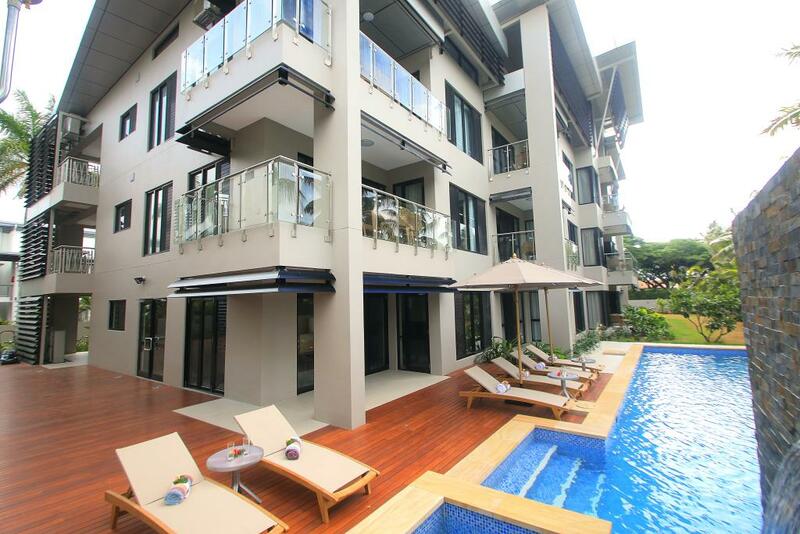 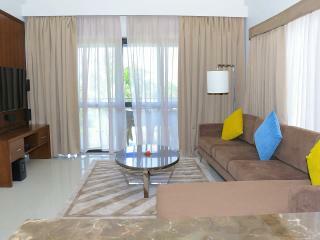 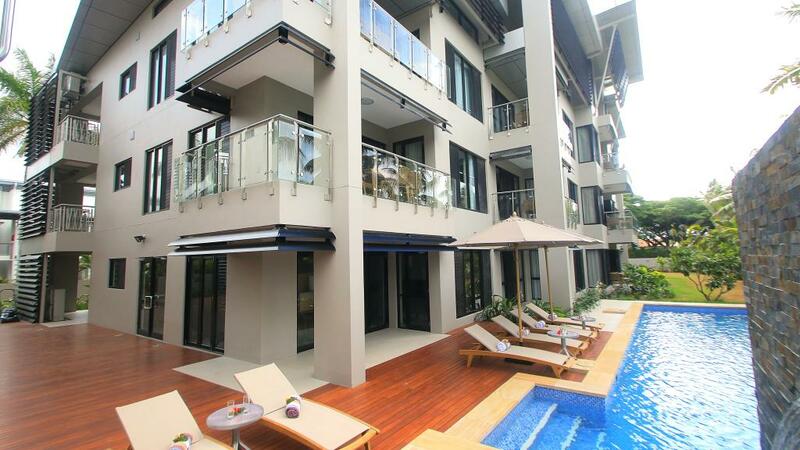 Each room features a balcony with views over the gardens, pool or local township. 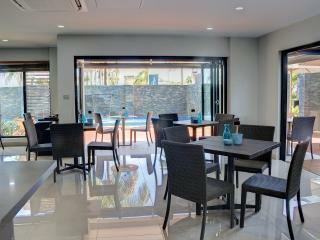 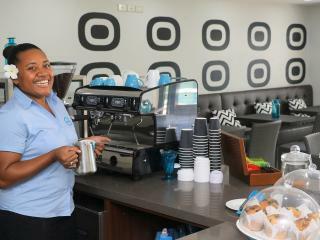 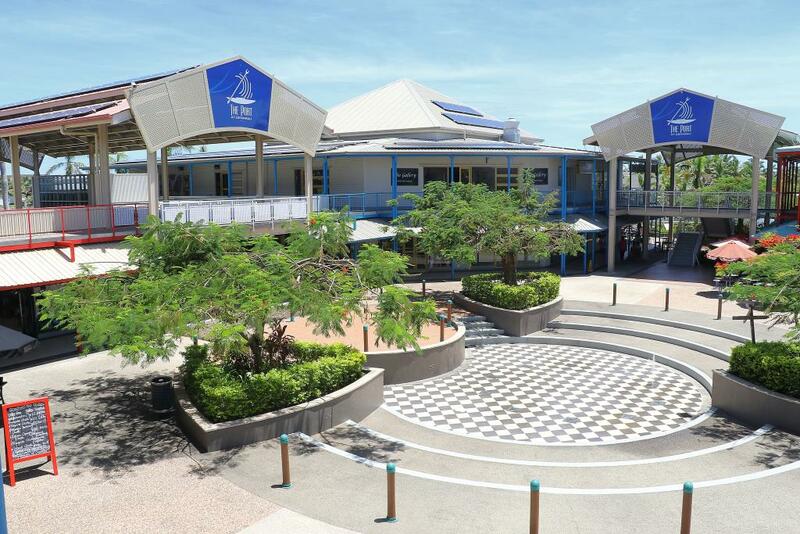 Relax in the pool after a day of touring, enjoy a quick bite at the cafe or take a short walk to explore the shops and dining venues at Port Denarau. 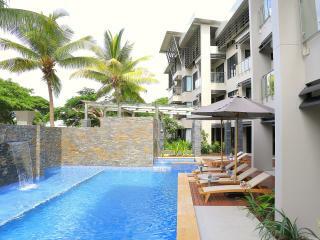 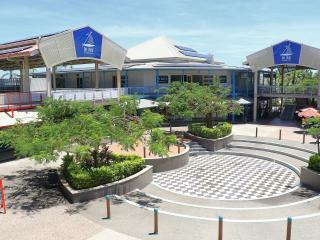 The Palms Denarau Fiji is a great choice for those looking for value, self-contained Fiji accommodation. 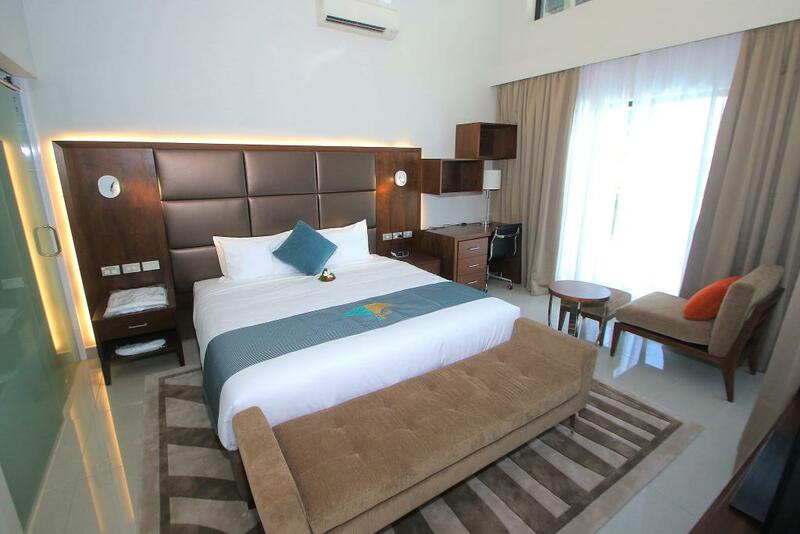 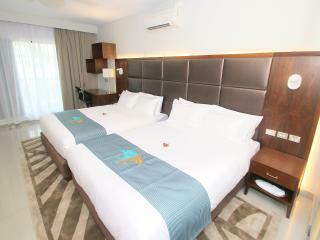 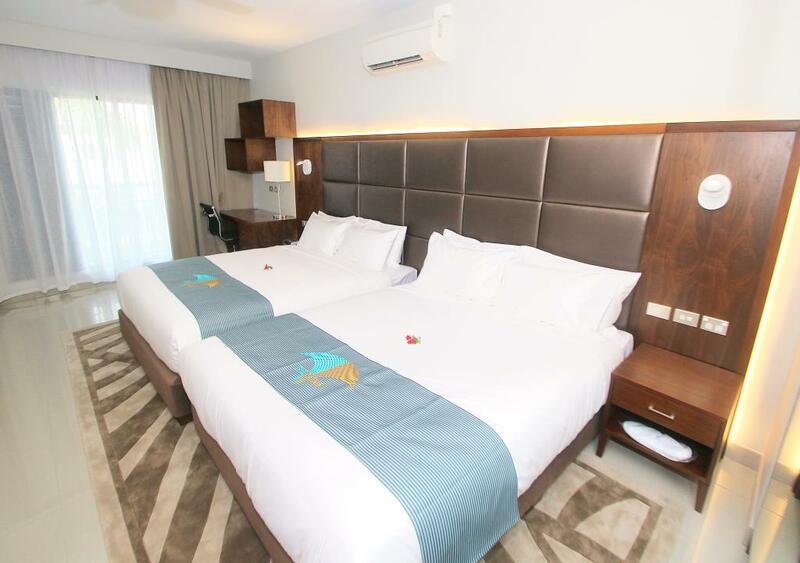 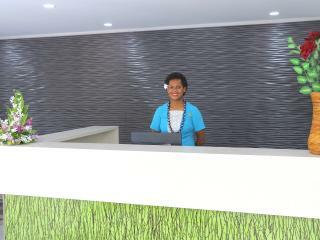 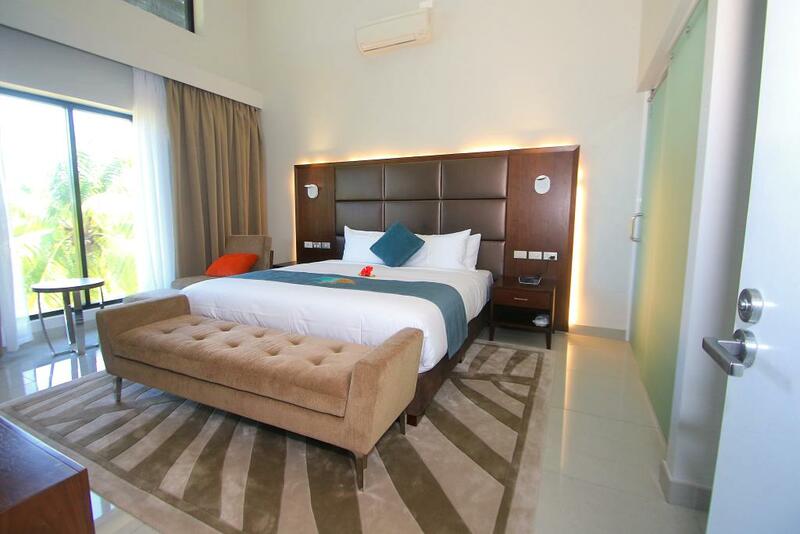 The Guest Rooms at The Palms Denarau Fiji are ideal for short stopovers in Denarau. 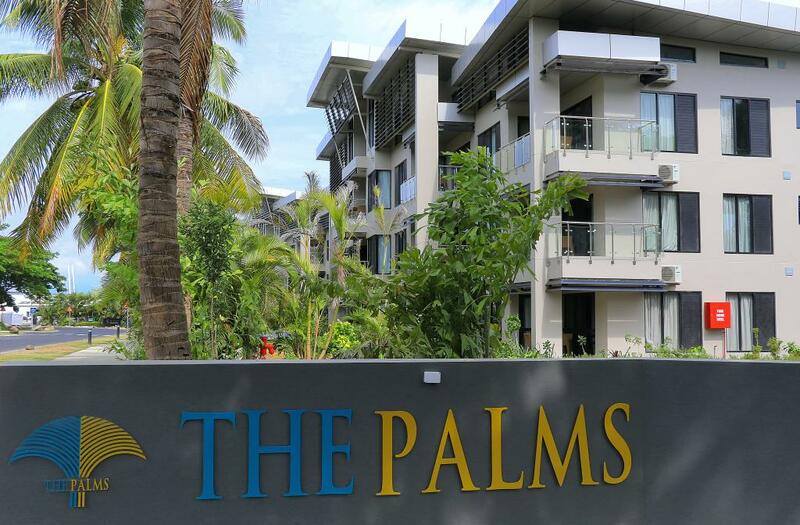 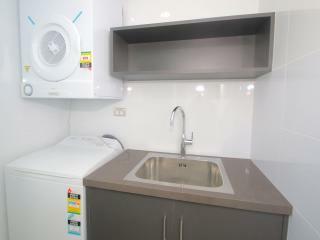 Featuring full kitchen and laundry facilities the spacious Apartments at The Palms Denarau Fiji offer a great base while exploring Fiji. 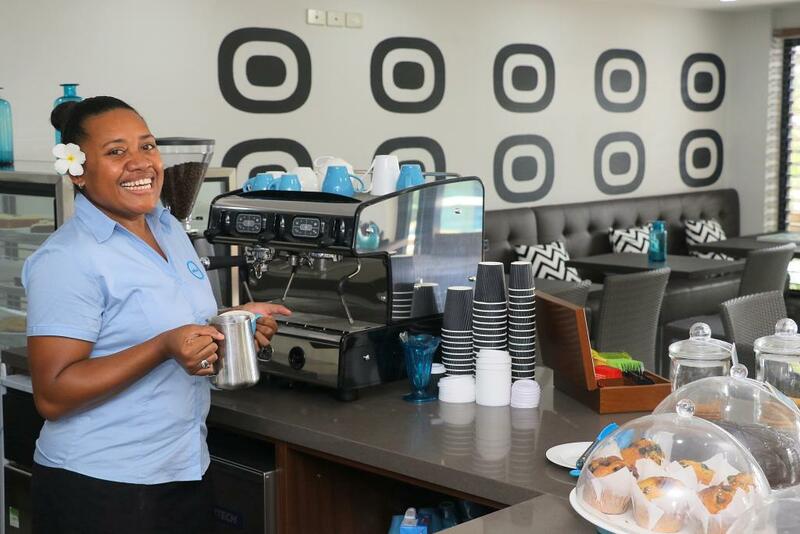 Café O: Open daily from early until late serving breakfast, lunch and dinner along with freshly made cakes and more. 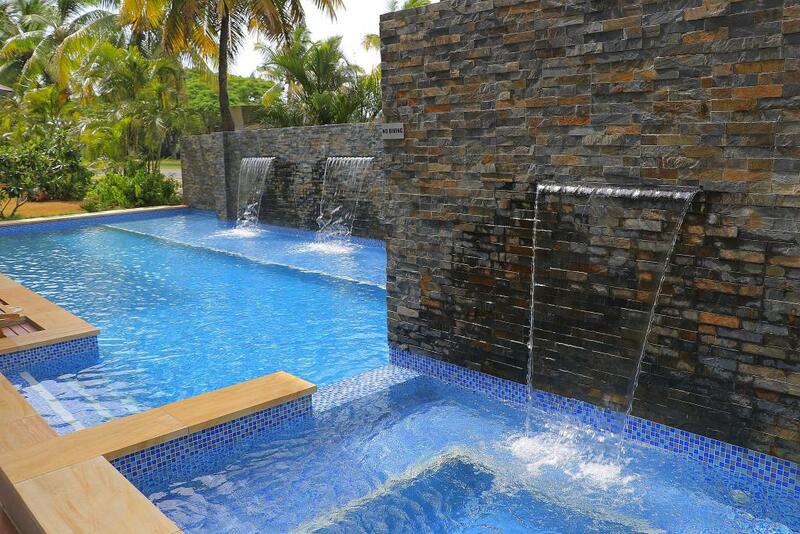 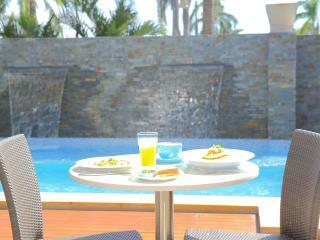 Relax and enjoy a drink and snack by the pool. 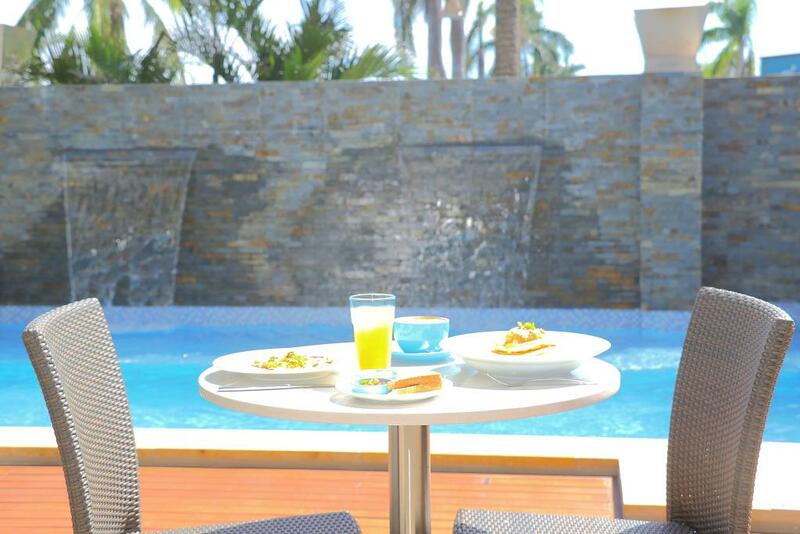 Room service is also available from Café O.